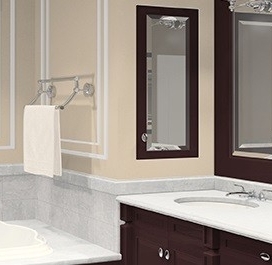 We specialise in custom made quality bathroom mirrors so you get a perfect fit that is individually tailored for you and your bathroom. 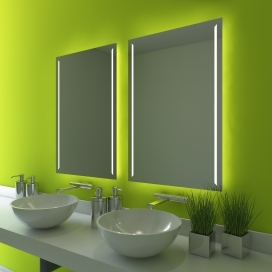 Nothing adds more impact to new bathroom than an impressive custom made mirror designed to suit your specific bathroom. Made from the highest quality glass, your finished bathroom will make you proud of its contemporary beauty and impress your guests! We service anywhere in Brisbane or Gold Coast areas! 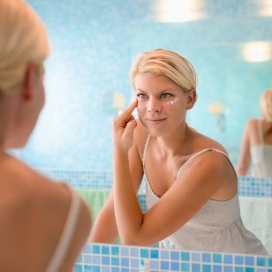 Make Sure You Are Getting The Highest Quality Bathroom Mirrors! 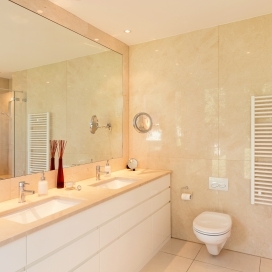 Beware of super cheap bathroom mirrors – in addition to ruining the complete look of your new bathroom, cheap bathroom mirrors can also be affected by the excess water that is present in a bathroom and over time can easily discolour or rust. 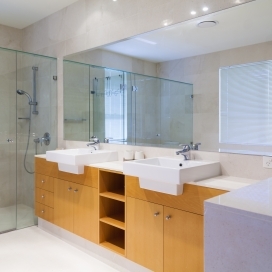 As with any glass product, cheap, inferior glass and accessories can very easily discolour and wreck the look and feel of a new modern bathroom renovation. 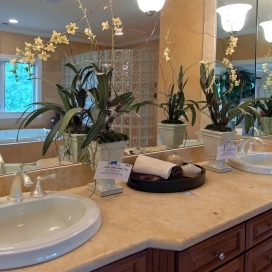 We make sure you get the best quality bathroom mirrors. Don’t take a chance on anything else, talk to the experts! We will get you the highest quality at the best prices! All Quality Mirrors helped me set up my new gym perfectly! They did an amazing job and Rod offered some really clever design tips during the quote that helped me to get the price down and make the end result so good. The pricing was very reasonable as it was such a big job and the customer service was great. If I ever need a new gym mirror or any other mirror for that matter I'll definitely be calling Rod and All Quality Mirrors again! ©2016 All Quality Mirrors. All rights reserved.